18 by 24 by 1 in. Description: This is a close up of a field of poppies. 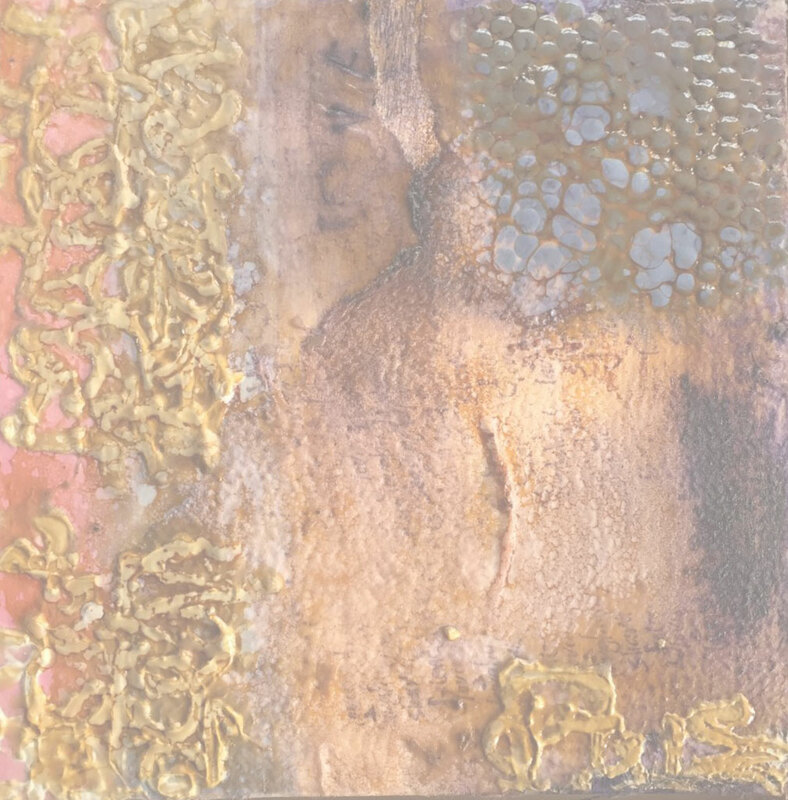 It is a mixed media piece with acrylic on oiled crushed paper on canvas and stitched. Artist’s Comments: I love the combination of mixed media with stitching. I feel that it enhances the piece and gives it an original look.